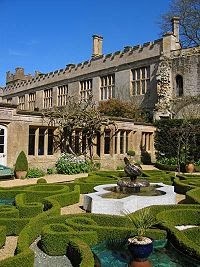 Snobby Tours Travelblog: HERITAGE TOUR SPOTLIGHT: "In the Footsteps of the Tudor Monarchs"
HERITAGE TOUR SPOTLIGHT: "In the Footsteps of the Tudor Monarchs"
Who isn't fascinated by Henry VIII who changed wives almost as often as he changed his tunic. . . . . or Queen Elizabeth I who was known as "The Virgin Queen"? Their intrigues and manipulations -- sometimes seeming like a Greek tragedy -- have inspired Shakespeare and other writers to modern times. Our custom-created "In the Footsteps of the Tudor Monarchs©" Tour brings alive the story of the scandals and intrigues surrounding the Tudor monarchs from Henry VII, his son Henry VIII (and his six wives), Henry’s children, the sickly Edward VI who died so young, the tyrannical Mary I, Elizabeth I whose death in 1603 brought an end to the Tudor line, and Lady Jane Grey who reigned for just nine days. You will ‘walk in the footsteps’ of these Tudor monarchs, visit the places associated with them, such as Hever Castle, Kenilworth Castle and Hatfield House, and experience what life would have been like in their times. This particular Tudors Tour and post-Tour optional extension were created by Ambient Tours, a British tour company, at the request of Snobby Tours®, Inc. It has been specifically scheduled from May 27- June 2, 2012 in order for you to have the option to extend your stay thru June 6, 2012 in the London area afterwards to enjoy the festivities surrounding the Diamond Jubilee Celebration of Queen Elizabeth II -- a "once-in-a-lifetime" experience!! This special "post-tour optional extension" for the Queen's Diamond Jubilee Celebration gives you the opportunity to see first-hand the royal pagentry and celebratory events as the British know how to do so extraordinarily well. 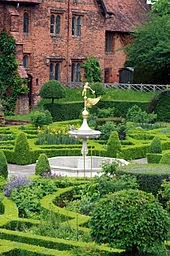 For details, a complete Itinerary and pricing, visit our Website by linking to: http://www.snobbytours.com/TudorTourQueensJubilee2012.html.